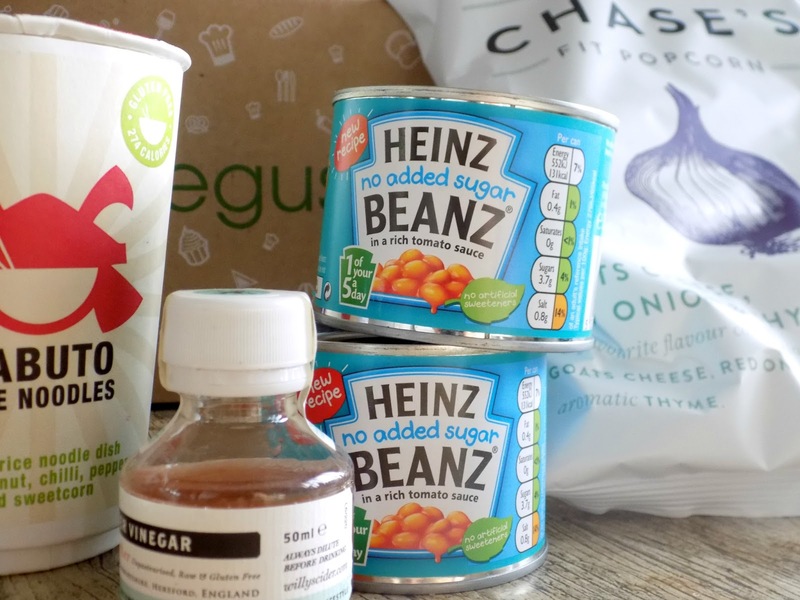 Degustabox is a monthly subscription box, but not for beauty for FOOD, yeah you read that right for a know commitment monthly fee of £12.99 you get 10 - 15 food and drink surprises sent to your home for you to enjoy, many of the items are new to the market, so you'll be amongst the first to try them. 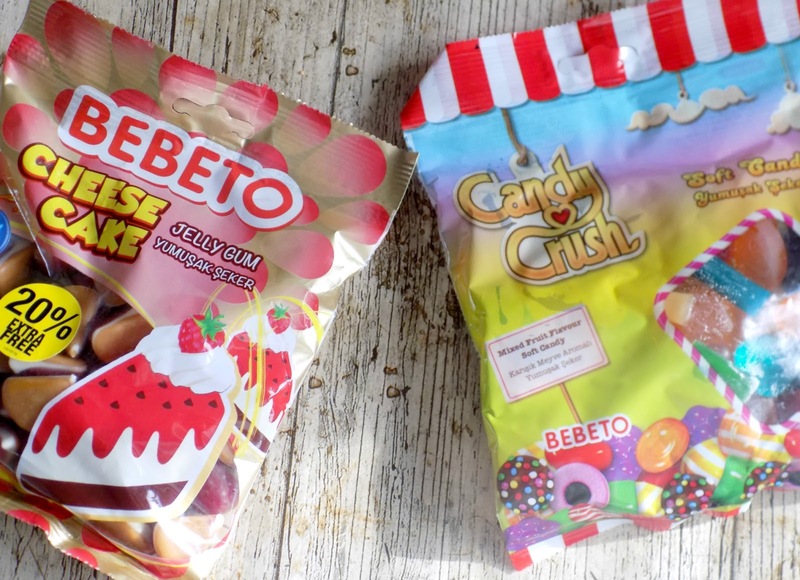 I'm gonna start the ball rolling with this month's product of the month some yummy sweets from Bebeto cheesecake gummies and candy crush gummy mix, perfect for sharing or not, as the mood takes you. 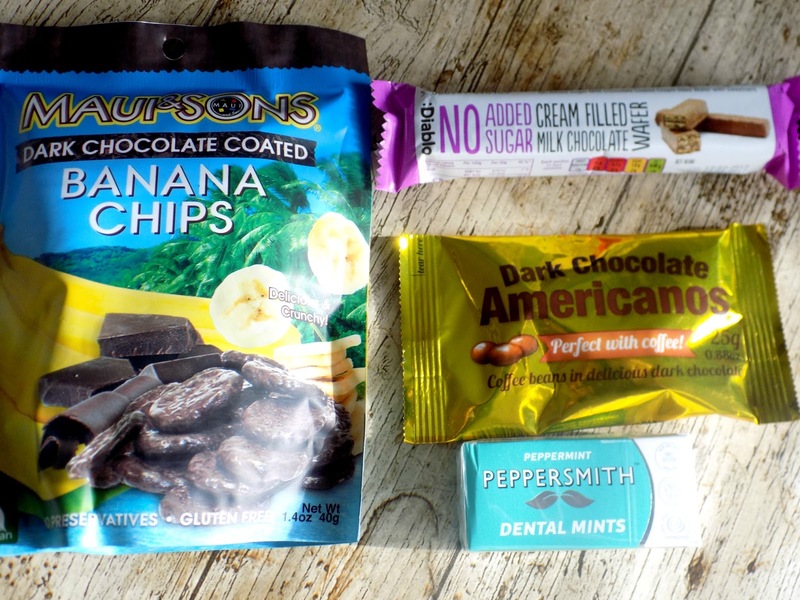 I also got plenty more treats in this month's box, including Maui and sons Banana chips covered in dark chocolate, I'm currently abstaining from chocolate for March but I can tell you I'm saving these bad boys as I love anything Banana. Also on the chocolate front I received New york delhi's Americanos chocolate covered coffee beans and Diablo no added sugar chocolate wafer, all of which I have hidden. The one thing I can have is the peppersmith peppermint breath mints these have gone straight in my handbag. Now onto drinks, there was a fair few in this month's box, First up coldpress, cold press juice packed with vitamins a perfect way to start your day. 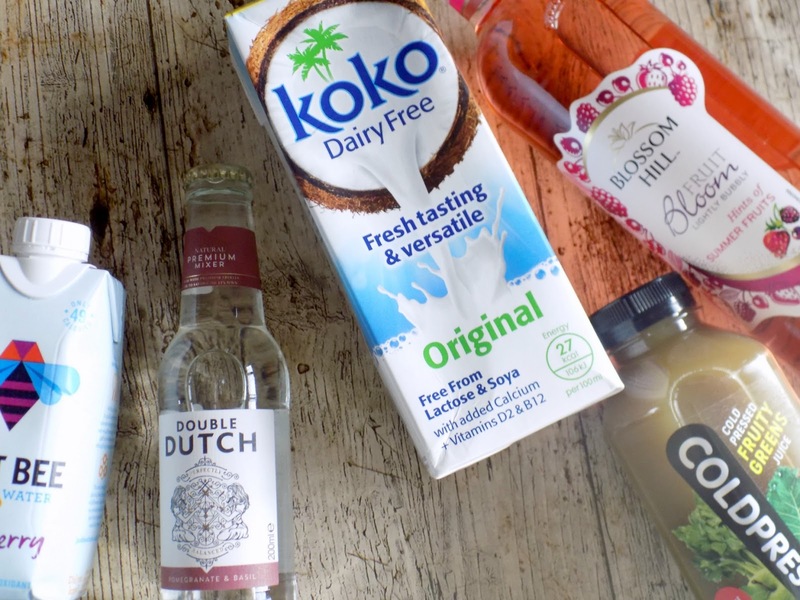 also perfect for breakfast time Koko dairy free milk alternative made from pressed coconut milk, this is right up my street as I don't drink cow's milk, it's lovely in porridge or on your cereal. Sticking with healthy drinks Just Bee honey water, is honey enriched water making it a natural antioxidant. Now onto the fun stuff double dutch is a premium mixer perfect with your favourite tipple. Talking of tipples the fruity Blossom hill wine went down a treat. last up the savoury stuff, Kabuto noodles are like a posh pot noodle perfect for your packed lunch, also perfect for lunch Heinz No added sugar beans, can you beat beans on toast? at lunch time one of my fav's for sure. From Willy's I got a bag of savoury grown up popcorn and a sample bottle of their Apple cider vinegar. I really enjoyed this month's box, and you can get yours with a massive £7 discount using my unique code 90RFN making your first box an amazing £5.99. 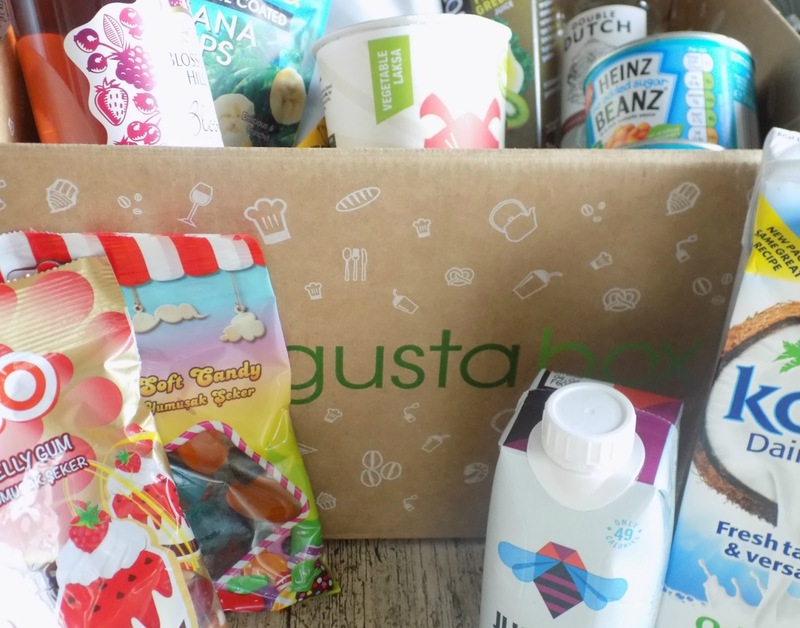 I hope you enjoyed this months Degustabox review, please follow me on Bloglovin, to keep up to date with all my latest posts.